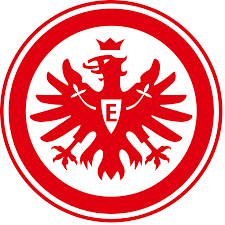 Welcome back to Eintracht Frankfurt! We’re three seasons in already and things are going very well. No-one’s been able to stop us domestically, but Europe is proving a harder nut to crack. Today I’m going to tweak my standard formula a little bit. 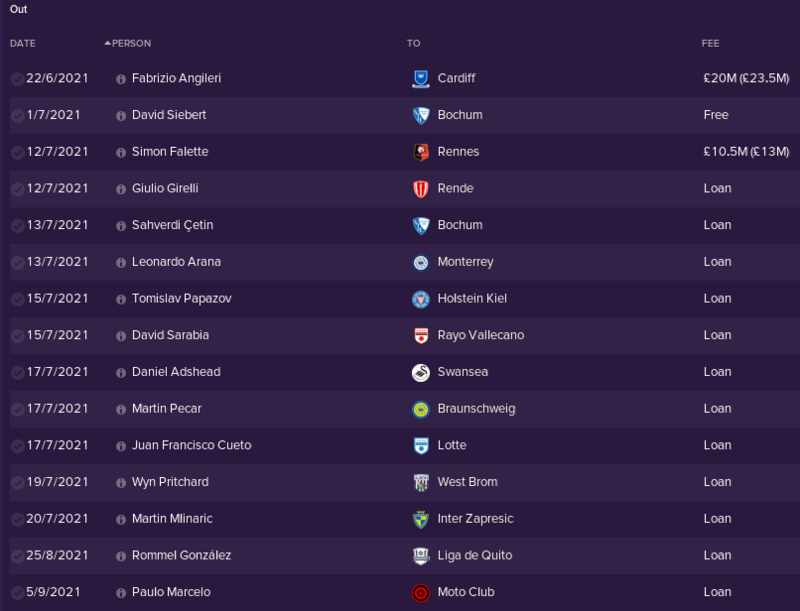 I fear the repetitive nature of our Bundesliga campaigns may make things a little dull, so we’re going to blitz through half a season here, and I’ll write a little less about results, and chuck in a bit more about some players. I’m giving serious thoughts to how I want to chronicle the rest of this save, but for now I just want to catch up and we’ll see what comes next later on. Daniel Farke takes over at Freiburg, newly promoted to the Bundesliga. The previous Frankfurt U19 manager’s have had differing fortunes in management so far. Tomislav Stipic only lasted 19 games at Kaiserslautern, but Henrik Larsson remains at Karlsruhe after guiding them to a solid mid-table position in the 2 Bundesliga last season. He hasn’t got as many appealing tendencies as Farke, but hopefully that “Perfectionist” personality will stand us in good stead. 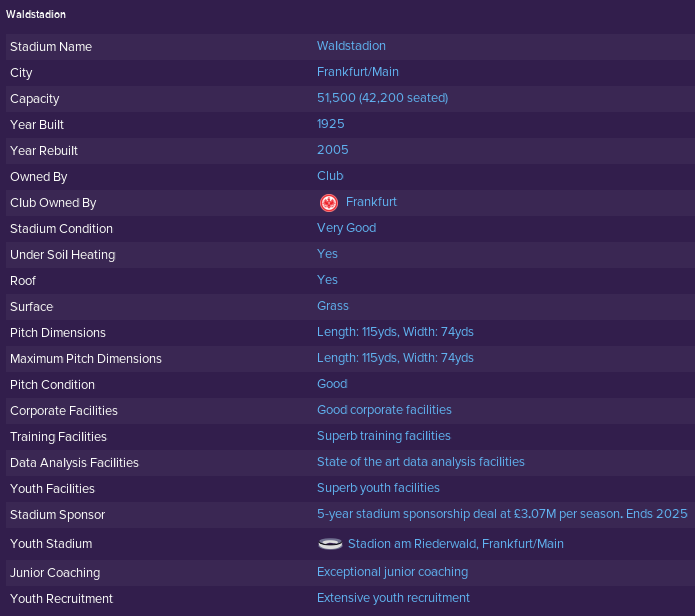 Hopefully Juan Manuel will make a claim for the right back spot this season, as Sebastian Jung is 31 and as well as his contract being up, is beginning to show signs of decline. Getting him in without having to ever pay Atletico a penny is a fantastic piece of business. The only other addition for the first team was that of Sergio Gómez. 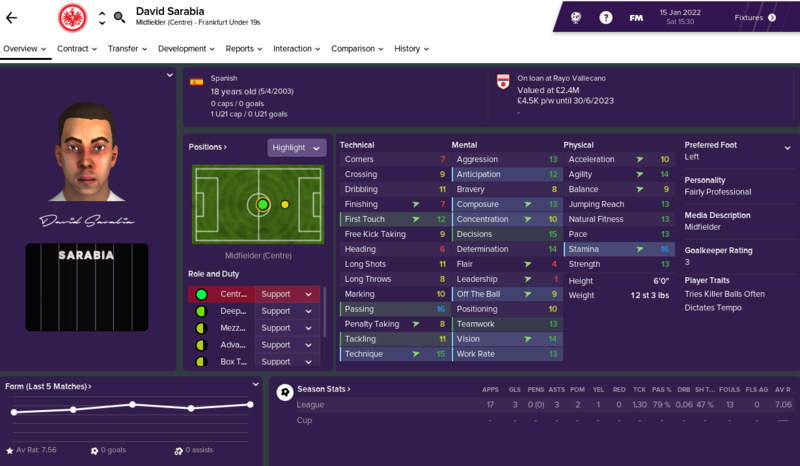 It’s bizarre to me that Dortmund weren’t using him, and insane that they would sell him to me for £21m. “Midfield entertainer” is my favourite media description so far! Fabrizio Angileri did a decent job for us last year, but he’s only been a back-up really and when he started to kick up a fuss about playing time, there was only one course of action. At 27 years old, £23.5m was far too appealing to turn down. Simon Falette has also been a solid back-up, and seemed comfortable in the role too. But having just turned 29, and with some promising CB’s coming through at the club, I thought it was time to cash in. 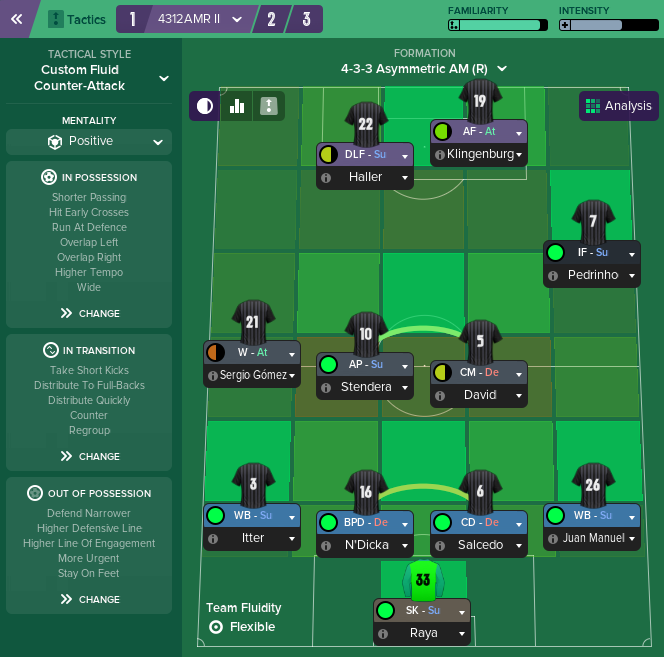 It’s not a huge change from how we were playing (the team instructions are very similar), but I’m hoping to create a four-headed nightmare for opposition defences, with the striker dropping deep, and the trio of attacking midfielders playing havoc, being given licence to roam and run at defenders. We’re going to try a complete wing-back for the first time too. 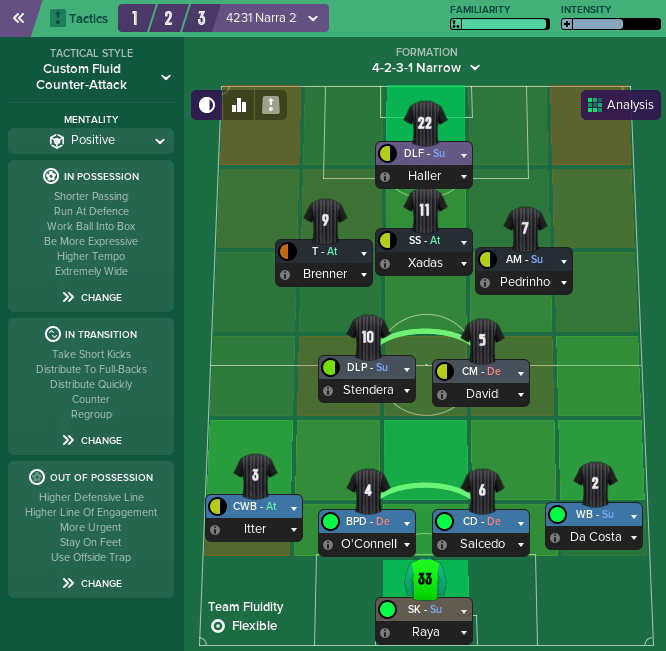 It’s a role I’ve had a lot of joy with in previous versions of FM, and I want to see how it goes. Our first half against Dortmund was excellent, and gave me hope for the new tactic. But otherwise it’s been a struggle to get the three AMC’s doing much of anything. Pedrinho and Brenner in particular are playing badly. Dimitar Mitrovski and Xadas are saving themselves with set pieces. 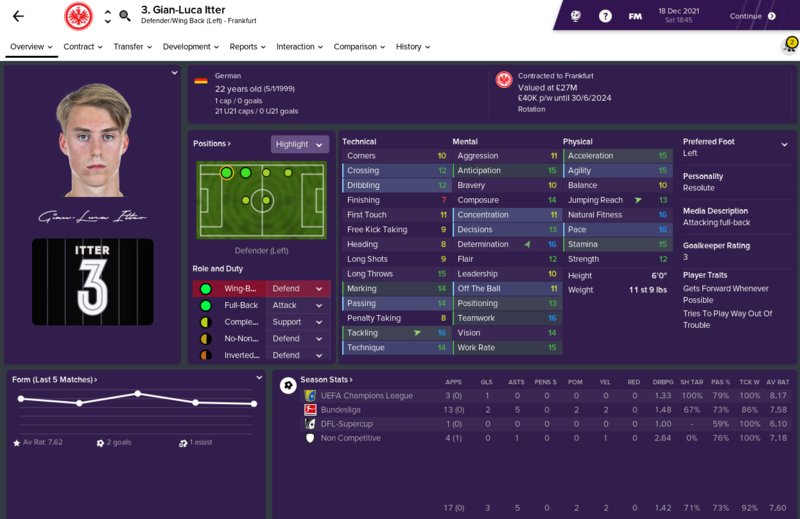 Although results have been decent, and Gian-Luca Itter as a complete wing-back has been a revelation, we don’t look any good in the final third and I’m bailing on the 4231 already. I’m also deliberating on a tweaked version, to use Itter as a complete wing-back again. Probably it’ll return Stendera to a DLP, switch him positionally with David, and maybe we’ll try the left midfielder as an inverted winger… But these are thoughts for another time. The game against Schalke was a top of the table clash, but they didn’t look anywhere near our level. Real had Romelu Lukaku sent off after 15 minutes, and we destroyed them. Itter’s goal was a thing of beauty, and despite having his attacking role scaled back a bit, he’s still getting heavily involved in the attack. Daniel Farke and his insider knowledge kept us at bay against Freiburg. Bayern had a dreadful start, and although they have recovered a bit, they still lag behind us by 18 points. 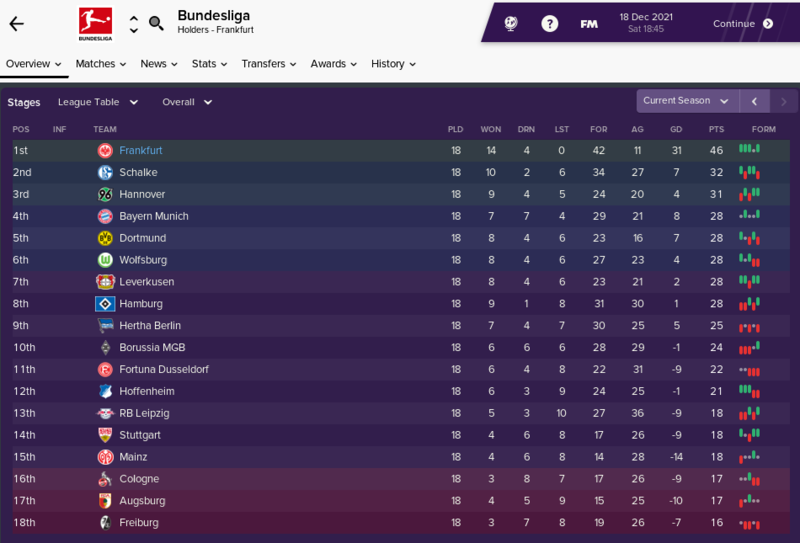 RB Leipzig have sacked their manager and climbed out of the relegation zone, and I can’t imagine it’ll be long before Leverkusen, Dortmund and Bayern consider changes too. We’ve been impressive, with some of our attacking play looking really good at times. And our recent resounding results against Lazio and Real Madrid give me hope that we can make a run deep into the Champions League. He’s rampaged up the left flank irrespective of opponents, caused carnage with his overlaps and even bagged a few goals to boot. 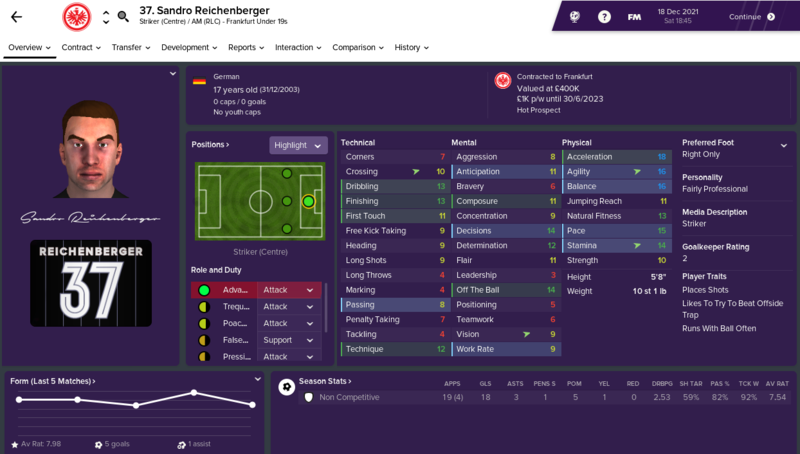 He’s deservedly broken into the full Germany squad and got his first cap, and has done well in training too, boosting his attributes and adding “Gets Forward Whenever Possible” to his repertoire at the second time of asking. He’s been slamming in the goals, training superbly and shortly after this screenshot was taken, added “Knocks Ball Past Opponent” to his traits. We may look to give him a 6 month loan somewhere in January after he turns 18. He’s their highest rated player so far this season, and has shown some promising development whilst out there. That’s right folks, it’s yet another left-footed playmaker. Five more years of me. Merry Christmas Frankfurt! Thanks for reading, happy holidays y’ule!